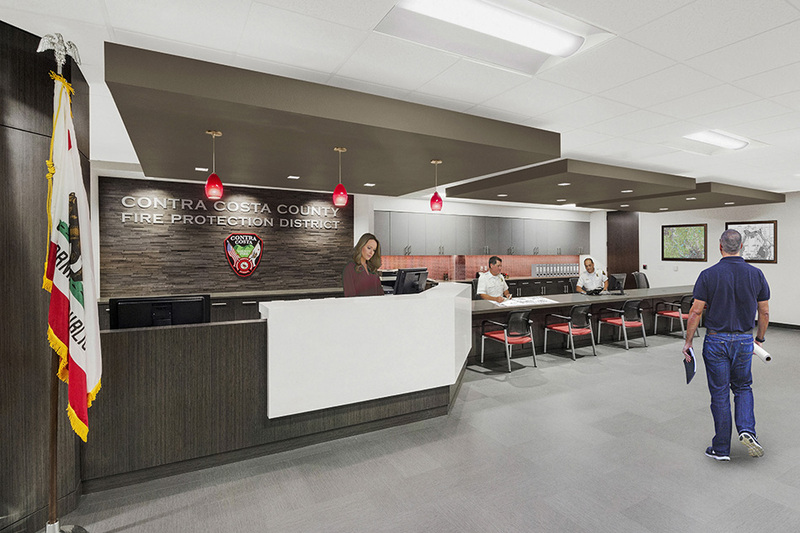 The Contra Costa County Fire Protection District is “a recognized fire service leader, one of the largest in the State of California, providing fire and emergency medical services to nearly a million people across an 804 square-mile area in and around the 19 cities of the county.” CCCFPD partnered with RBA to design their new headquarter office for the Administrative Services Division and Plans/Fire Prevention Bureau. 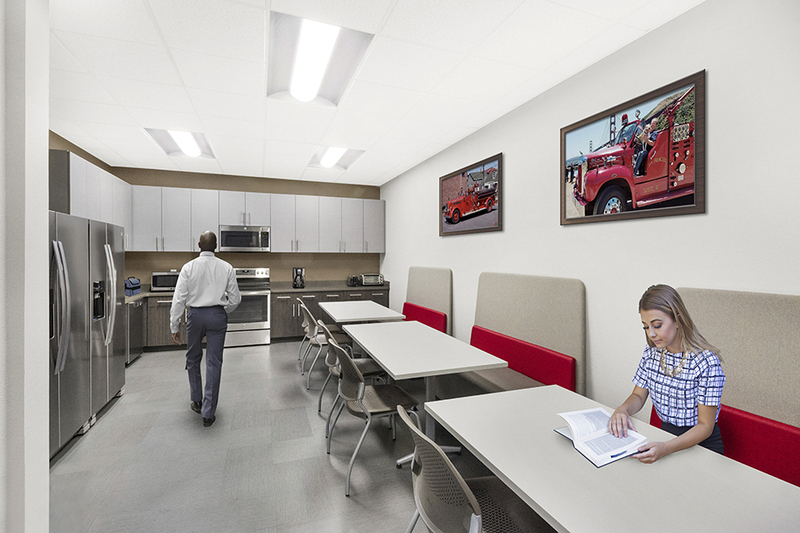 The facility includes offices for Fire Chiefs, Fire Inspectors, Plan Review Technicians, Operations and Administration offices with public spaces for plan review, document research and community rooms for large group meetings and after-hours events, a resource that the fire department did not previously have. 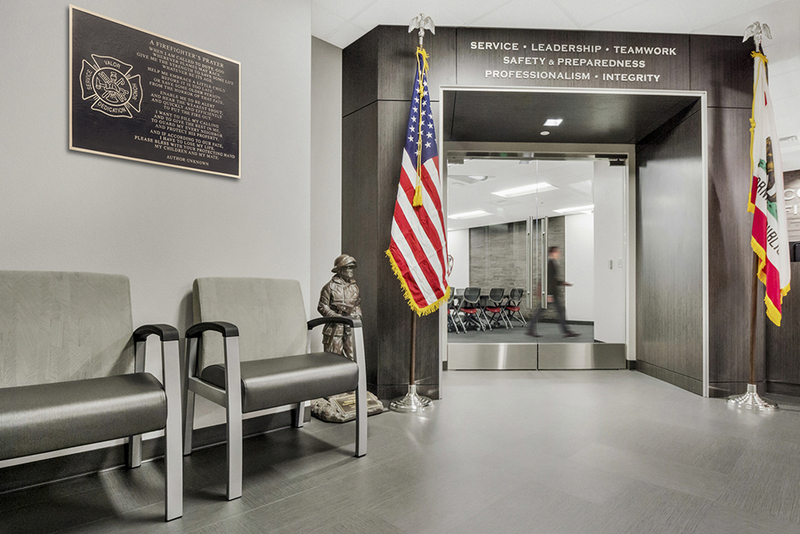 This project fostered a collaborative sense of partnership between our team and the Contra Costa County Fire team, which we enjoy most in our work. 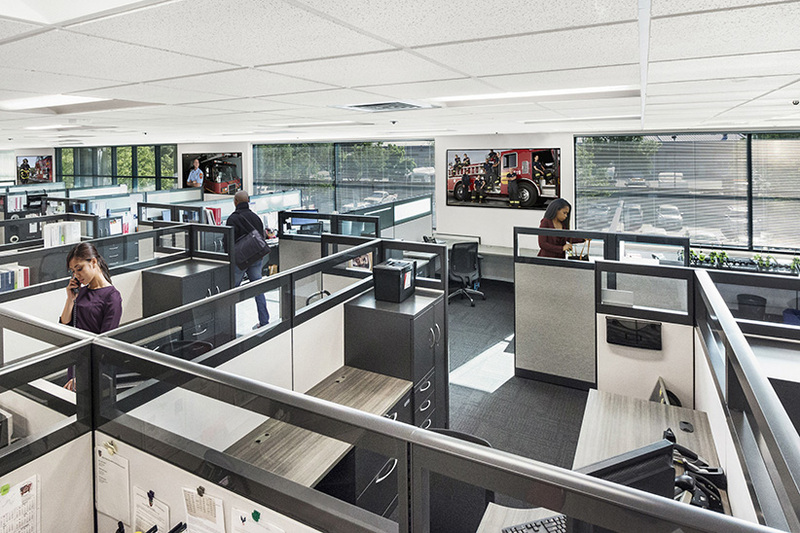 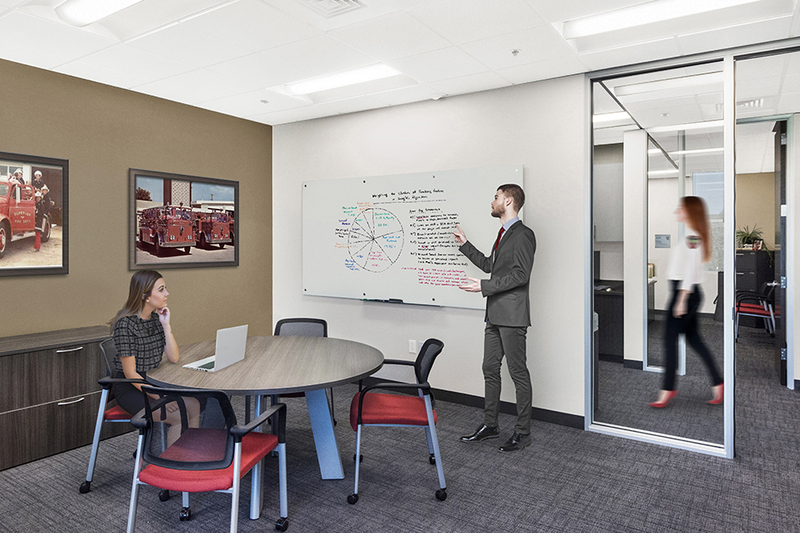 They had a vision, and we helped them achieve it by challenging them to think beyond their expectations, resulting in a truly transformed and updated space. 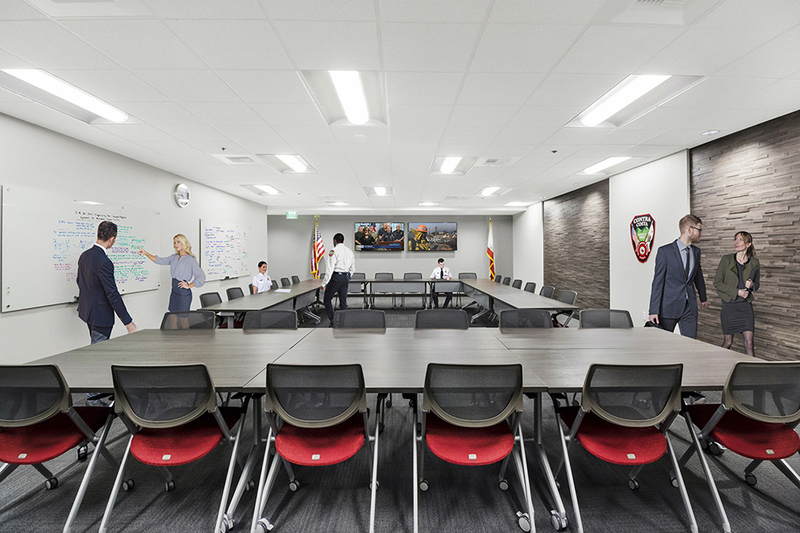 In turn, they challenged the RBA team to expand our palette of sophisticated neutrals to incorporate pops of fire-engine red, which included a dazzling red glass mosaic feature wall, Firefrost pendant light fixtures, and a feature wall showcasing the Contra Costa County Fire logo on top of natural wood plank Interwoven Eco-Panels.